Last week I received an unconventional invitation in my email inbox from South Africa Tourism. It was a video inviting me to return to South Africa and explore more of this wonderful country. In August 2012, I was part of a remarkable campaign to highlight Cape Town, South Africa and to show the world what makes it such a wonderful destination. This year that same concept has been expanded and starting this week 15 bloggers from around the world will descend on South Africa to properly meet it and share their adventures. The bloggers are on different itineraries, taking them to all corners of the country. This way by following the #MeetSouthAfrica hashtag on all social media channels you’ll get to follow along with a wide variety of adventures. The tours all lead to Durban, where South African Tourism will host a #MeetSouthAfrica bloggers’ event at which travel trade and tourism products will get the opportunity to listen to some of these top travel bloggers share their travel experiences ahead of INDABA 2013, Africa’s largest travel trade show. So what is my schedule like on this unique trip? Well, it’s right up my alley and I can’t wait to get started. Hot air balloon ride over the Magalies River Valley, the Cradle of Humankind. Scenic drive followed by exploration of the Sudwala Caves, the oldest known caves in the world. Swing and Slide and The Big Swing, an adrenaline rush activity that has also been dubbed the ‘Hell Swing’. So this is how it goes: You step backwards off a ledge above a gorge with bungee cord attached to your waste, you then free-fall 68m for three terrifying seconds…and then you survive. Bourke’s Luck Potholes, Three Rondavels, The Pinnacles and Gods Window – four of the most amazing and beautiful natural areas in the world. 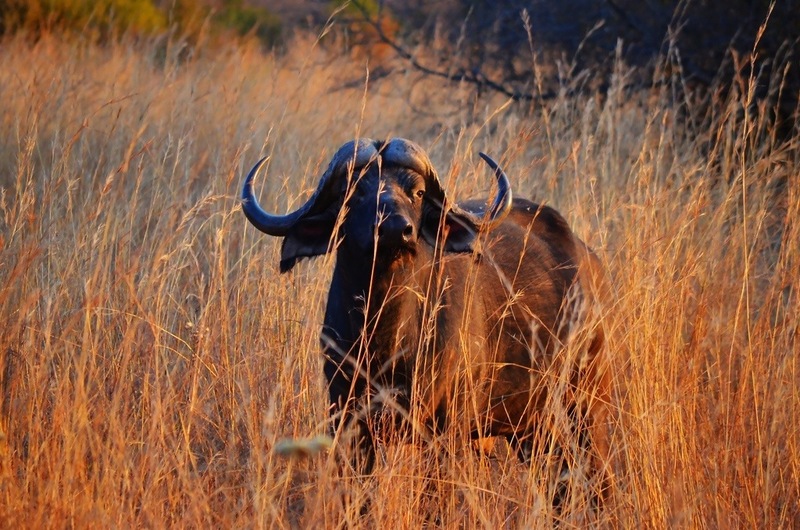 Kruger National Park and some remarkable opportunities to observe the Big 5 and more in the wild. Staying at luxury lodge. Magoebaskloof Canopy Tours that allow visitors to fly through indigenous forests and ancient mountain cliffs. Mapungubwe National Park and World Heritage Site, an area rich in biodiversity, great scenic beauty and the cultural importance of the archaeological treasures of Mapungubwe. So that’s a rough sketch of the trip! Throughout I’ll be enjoying great food and really nice accommodations. To say I’m excited is a massive understatement. This itinerary includes everything I love to do and matches my travel style perfectly. I’ll have WiFi access most of the time so please be sure to follow the #MeetSouthAfrica hashtag – the adventure starts Saturday, May 4! Wow how amazing! Have the best time, I LOVE SA!!! Yay! You’ll be staying in JHB for a night right? Mpumulanga is awesome – the Potholes and the Blyde River Canyon are spectacular – some great photo opportunities there. Hope to see you whilst you’re here! Wonderful itinerary! Loved SA when I was there in December. Can’t wait to go back. Look forward to following along! Little by little you are getting to know South Africa to the detail! I look forward to hearing your trusted and contrasted opinion. What properties are you staying at in Kruger? Monique here from andulela Experience in Cape Town – you came on The Cape Malay Cooking Safari in the Bokaap with us on your last trip. lovely to hear you are coming back to SA, but sounds like not stopping at all at Cape Town, which is of course a pity. I will be at Indaba so who knows maybe we will be able to meet there! Thank you so much for all your wonderful feedback on The Cape Malay Cooking Safari – we really appreciated it. Have loads of fun again in SA – yes, can well see why you are excited! Wow! What a trip. I love the theme of luxury adventure. Hope you are having the best time! Can’t wait to hear all about it in Toronto! See you sooon at TBEX!